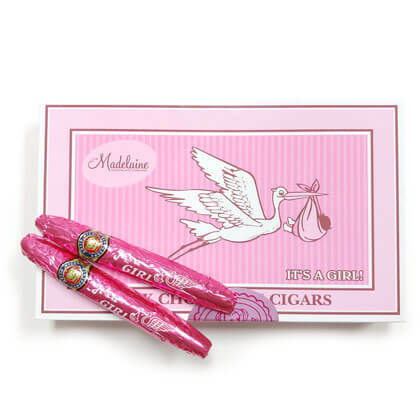 Gourmet milk chocolate It's a Girl cigars. Box is approx 9 inches by 5.5 inches by 2 inches tall. 2 layers of cigars. Each cigar is approx 5.25 inches long and .75 oz each. OU Kosher Dairy. Made by Madelaine.